He spread out piles of beautiful Hausa hats and other accompanying adornments he had up for sale on the display shelf. Smooched in one of the stacks was a white “Awo” cap which caught my attention. I had been combing around Nigeria for two years or so in search of this type of hat to match my embroidered Nigerian white Dashiki. When I sighted the white chapeau, I immediately detoured from approaching the boarding gate at the Murtala Muhammed Airport, Ikeja. I still had some time to catch my flight to Houston. I strolled into the fairly large store where one man who spoke in good English with Hausa accent welcomed me. He said his name was Idris. He was either the owner or one of the salesmen. I told him what I wanted. After a few minutes of haggling, Idris succeeded in convincing me to buy four headpieces of different colours and styles instead of one I had intended to bring back home to the US. “Where are you travelling to”, he asked without showing any desire to know my name. “I’m going home to America”, I responded. “How long have you lived there?”, he asked curiously. I told him. “Kai, that’s too long, walahi! You have stayed too long in America. Come back here and help Nigeria. Please, pray for Buhari every time”, shaking his head in a manner expressing how important his prayer request was. I told him that Nigeria does not seem to welcome Nigerians from abroad to rebuild Nigeria. Nigerians in Nigeria, especially politicians and civil servants play a different governance game that most nations of the world find bewilderingly complex and complicated. Idris’ talk about politics and government got me discussing more with him. My boarding time was not until about 90 minutes anyway. I still had some time to talk Nigerian politics with a man I had never met in my life; but one who appeared passionate about either Nigeria, or President Muhammadu Buhari, or both. “President Buhari will succeed. His success is Nigeria’s success”, I assured him in prayer. “But, why those people hate him so much?” he wondered. “Do you think we really love one another in this country? Do you think the Hausa man truly loves the Igbo man; or the Yoruba man truly loves the Hausa man or the Igbo man loves the Yoruba man?” Idris was mute. “Idris, let’s talk about that and let’s talk about how that attitude can change”, I said. He shook from his definitely deliberate slumber and quipped. “As for me, I love everybody. See, I am talking to you now and I just met you 10 minutes ago. I love everybody”, he affirmed. Our conversation continued for another 20 minutes. But in my probing sermon to Idris, I was not referencing an individual love. I was not referencing individual Idris, or an individual Tunde, or an individual Chinedu loving others from outside of their ethnic camps. I was talking about corporate love; corporate trust; and corporate pursuance of one vision, mission and goal as one nation that belongs to nobody but to everybody. In today’s Nigeria, these are rare finds. Negotiating Nigeria will help us answer these many questions. When certain elements allude to the notion that we can’t negotiate matters that concern Nigeria, it is discouraging. When a nation denies the reality, reality comes back haunting as a tormenting ghost. A man who believes he is free within the four walls of a prison is not only in delusion but in self-deception. Nigeria is building mansions in self-deception as if all is well with Nigeria’s unity. We are clutching a hungry tiger by the tail and expecting the animal to be singing a love-song. It is not a wise talk to vent that the fusion of Nigeria as we know it is not negotiable. If God in His Majesty could have bantered back and forth with the devil regarding the life of his servant, Job, it is a simple sermonette that all things thus are negotiable. Everything about Nigeria has always been negotiated. Before the name “NIGERIA” was made official, Flora Shaw and others had to negotiate with British overlords. The amalgamation of the present territories now called Nigeria had to go through intense negotiation indabas. Nigeria’s Independence in 1960 was preceded by numerous back and forth trips to colonising England in very many negotiation colloquys. Negotiations brought Nigeria thus far. Our corporate existence today, I humbly submit, is negotiable. I have always expressed the belief that Nigeria is a good idea that can be made better. Negotiating the corporate existence of Nigeria is not assenting to WAR. No one with good brains and experiential or historical knowledge of wars will want one. Only fools who don’t know what wars mean will be babbling as if the answer to Nigeria’s many questions is only found on battlefields where brothers kill brothers. Negotiating is talking a contraption like Nigeria out of unnecessary pestilences that daily ravage the majority and out of protracted extant predicaments that have made most Nigerians unhappy, and the polity frighteningly infernal. Most Nigerians believe that the country was conceived in deception, birthed in confusion and nourished in corruption. By and by and overtime, she has grown into a big, brawly and bickering retarded baby in need of mitigating medication. All manner of medicinal interventions have not worked to date. She is now in a withdrawal syndrome. This is the Nigerian story that must change! Nigeria is negotiable. We have to talk about why so many people are left behind in the scheme of things and why only a privileged few feed fat on a system unfair to many. We have to talk about why a particular region or regions appear privileged and others are not; in the same country we claim is a nation bound in freedom, peace, and unity. We have to talk about why the Federal Government has grown so callously colossally strong that it has eventually succeeded in emasculating and muzzling the states that are supposed to be viable and strong. We have to talk about the outrageous percentages that accrue to the centre as allocation that has caused dislocation of Nigeria’s infrastructural base. We have to talk about why pipelines that took years to build now take minutes to bomb by a people so angry and bitter. We have to talk about why, despite so many incentives that historically flow into the Niger Delta areas, most of these people still live as scums in slums. We have to talk about why men brazenly steal public funds and their kinsmen believe it is their natural right to loot without recourse to commonsense and morals. Many Nigerians believe that Nigeria as a nation is cracked at the bottom. They believe that the country comprises of square-peg ethnic groups shovelled by the British into a big round-hole Nigeria. When you dream of building a castle in the air, you will wake up in a nightmare. 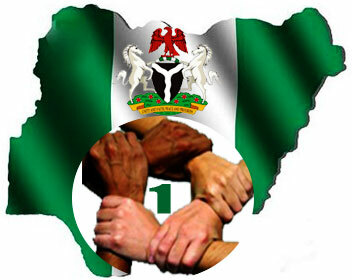 The foundation of Nigeria as a nation is fatally faulty and flawed. Upon such a structure, a lasting dream cannot be built. Negotiation is not a plague you can’t touch. One day, those who don’t want to negotiate will wake up from their dreams of building or rebuilding Nigeria in thin air. The cracks at the bottom of Nigeria can only be rebuilt through negotiations. If our existence as a nation was predicated and fashioned on negotiations that did not include the people negotiated, we can only forge ahead through the same sane and sagacious negotiation templates we design by ourselves and for ourselves.